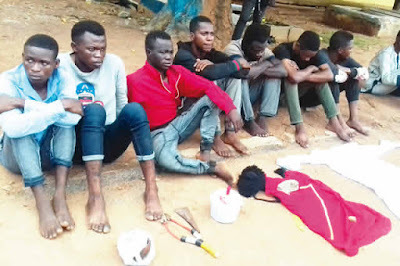 Police Arrest Offa Poly SUG VP, Others For "Cultism"
The Kwara State Commissioner of Police, Aminu Saleh, on Tuesday said the police had arrested the Vice President of the Federal Polytechnic Offa Students’ Union Government. The police commissioner said the VP, Tajudeen Selim, was arrested for alleged involvement in cultism. Saleh spoke through the command’s Police Public Relations Officer, Ajayi Okasanmi, while parading the suspect in Ilorin, the Kwara State capital.